Mon., Feb. 12, 2018, 9:34 p.m.
A Spokane native and graduate of Mt. Spokane High School will oversee the city’s planning services, housing programs and code enforcement. Dawn Kinder, 35, was confirmed Monday by a unanimous Spokane City Council to head the city’s Neighborhood and Business Services division. The cabinet post was vacated by Jonathan Mallahan, who left the city earlier this year for a job with Catholic Charities. The division was created by Mayor David Condon in 2016 to consolidate parking, developer services and the city’s planning efforts. The city will also continue its investment in transitional housing options for the homeless, Kinder said. 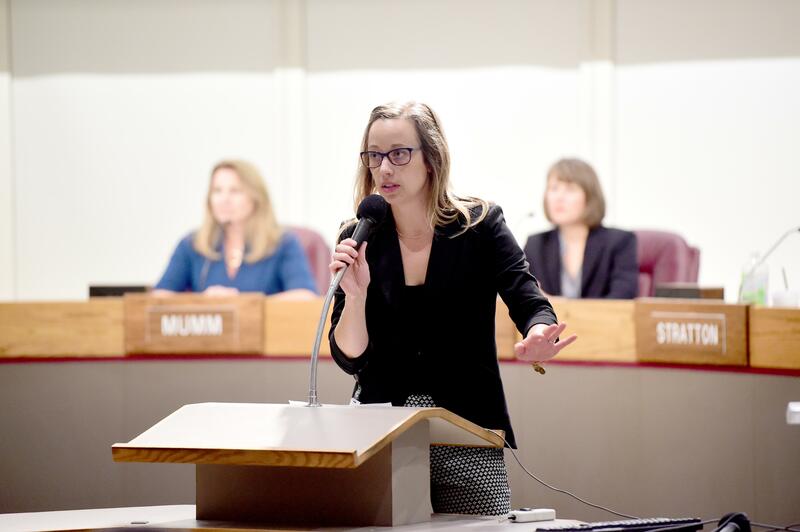 Condon and the City Council agreed to set aside $2 million over the next few years collected from real estate taxes to assist the city’s homeless population. Kinder’s previous post was as head of the division’s Community Housing and Health Services department, which oversaw the city’s public housing assistance programs. Kinder joined the city in April 2016, after working for North Seattle College’s director of workforce education. She earned a bachelor’s degree in human development and criminal justice from Washington State University and a master’s in social work from Eastern Washington University. Kinder will earn a base salary of $126,784 in her new position, the city reported. Published: Feb. 12, 2018, 9:34 p.m.